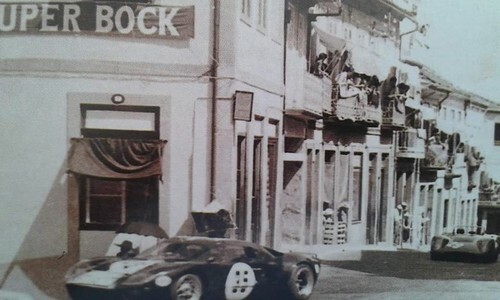 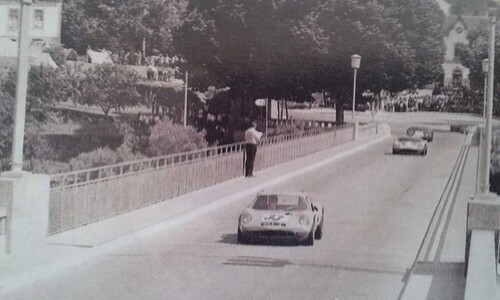 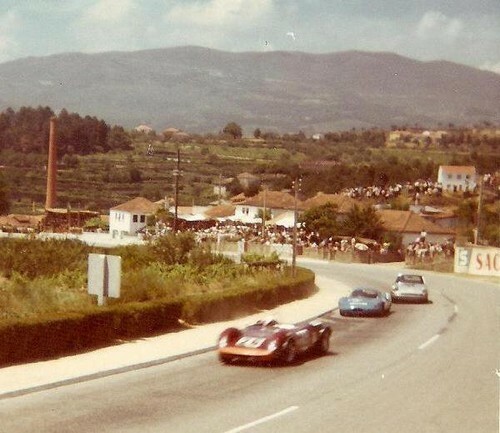 Piloto e construtor de automóveis de corrida, veio a Vila Real pela primeira vez em 1968 com um Ferrari Dino 206 S para Mário Araújo Cabral se classificar em 11º. 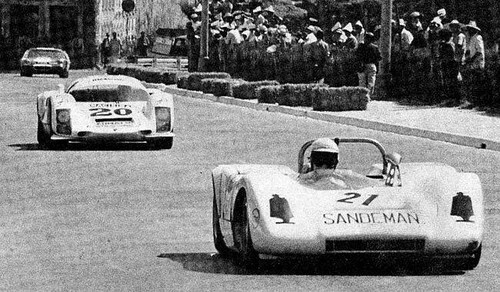 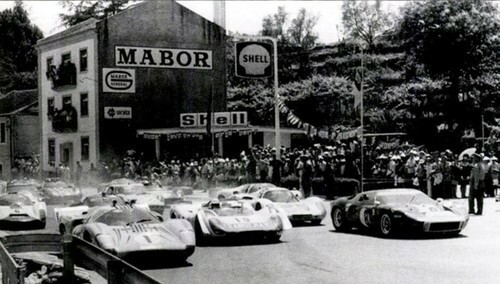 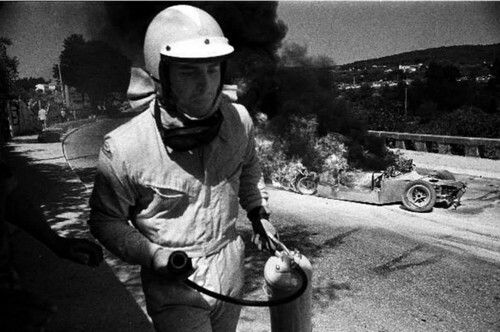 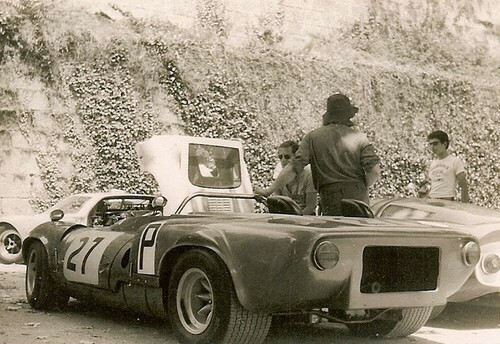 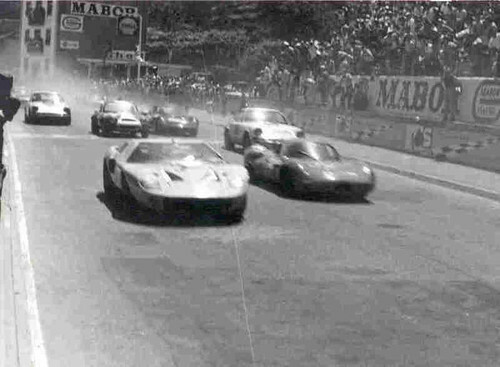 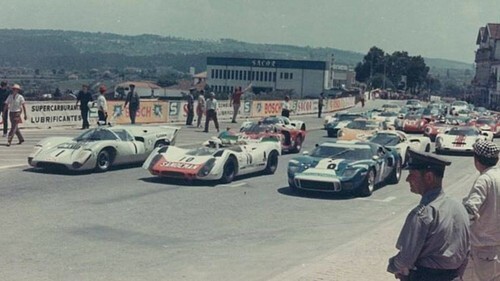 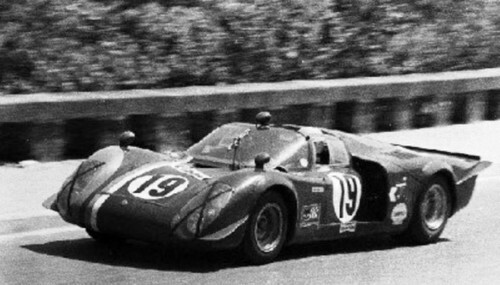 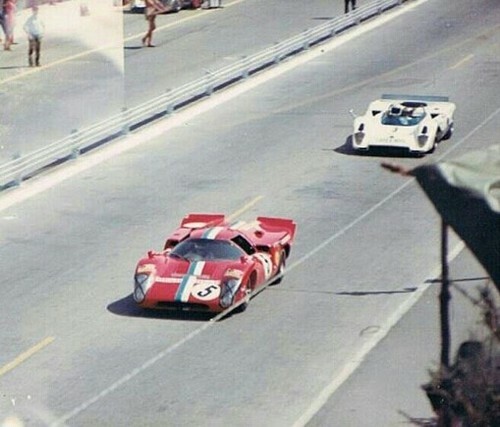 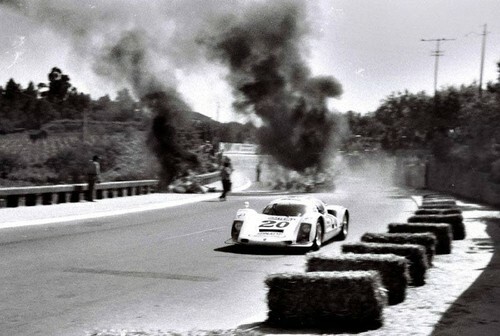 Em 1969 voltou com a sua equipa e repartiu o Ferrari Dino 206 S com Mike Walton para se classificaram em 6º, enquanto o Porsche 908 da também da sua equipa e pilotado por David Piper/ Cris Craft, venceu as 6 Horas de Vila Real . 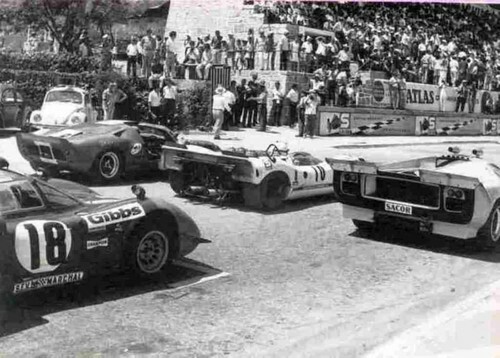 No ano seguinte viu arder completamente o seu Lola Lola T 210 da Ecurie Evergreen enquanto o Mc Laren e o Ford GT 40 respetivamente para Chris Craft e David Weir se não classificaram. 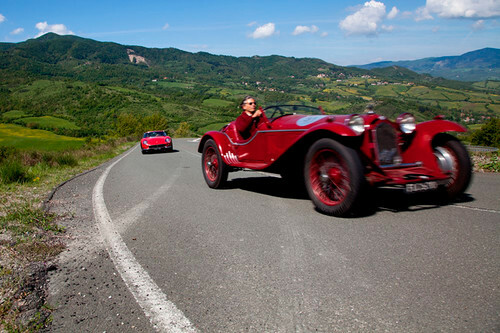 In May 2015 our 21st Credit Suisse rally was held in magnificent Tuscany. 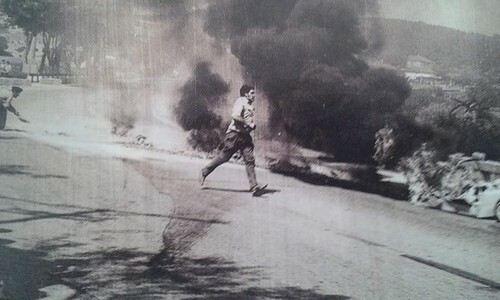 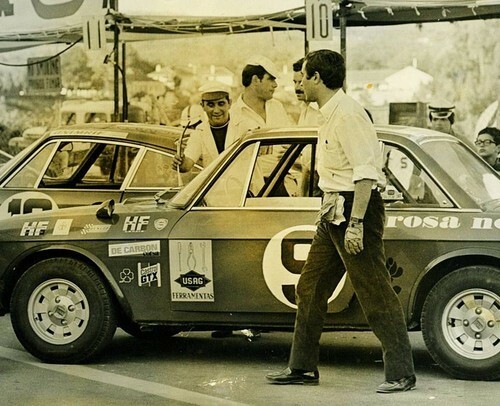 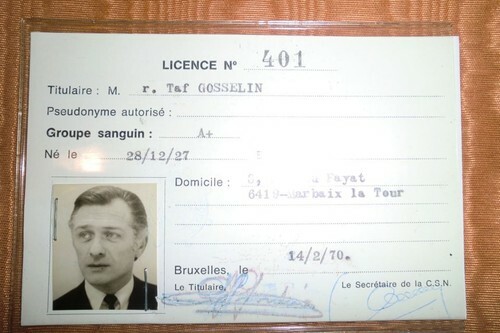 The rally could also have been titled “Alain, his Alfa, and lots of coffee” since there was the rally group that drove with discipline and observed the roadbook rules. 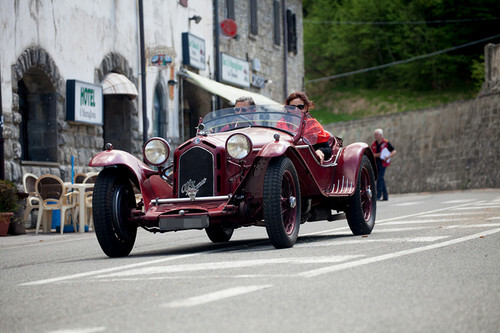 And then there was another group ... Alain and his Alfa 8C were mostly in this second category, the espresso group. 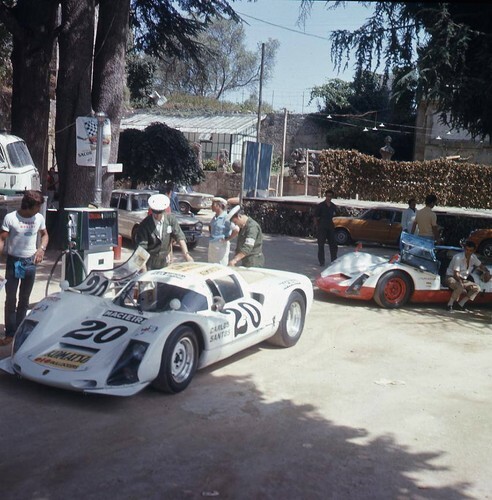 But this is only one of the rally stories which will make this rally unforgettable within our network of friends and enthusiasts”. 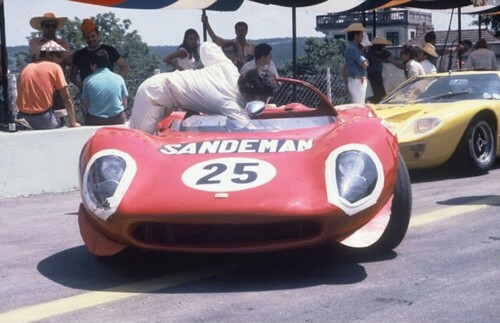 O McLaren M8C (chassis # 70-001) do Team Evergreen participou em Vila Real, 1970, nos 500 Km, depois de ter sido estreado por Chris Craft em Abril, durante os 1000 Km BOAC, em Brands Hatch, uma prova incluída no Mundial de Marcas. 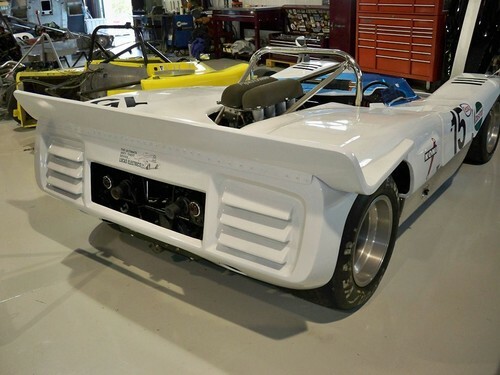 A novidade e do qual muito se afirmou, inclusive de que tinha “um motor de Formula 1”, era um chassis McLaren de Grupo 7 que no ano anterior venceu a "Can Am" e que Alain de Cadenet modificou de modo a poder aceitar o motor Ford Cosworth DFV V8 de 3 litros, permitido pelo regulamento para o Grupo 6 nos seus aspectos mais visíveis. 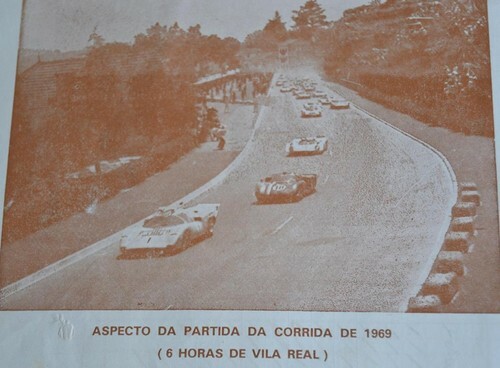 Obteve o melhor tempo durante os treinos e dominou desde a terceira volta até entrar nas boxes na 18ª volta, com problemas de ignição, depois de ter obtido a volta mais rápida a segunda em 2:32:39 e média de 165,736Km/h (novo recorde). 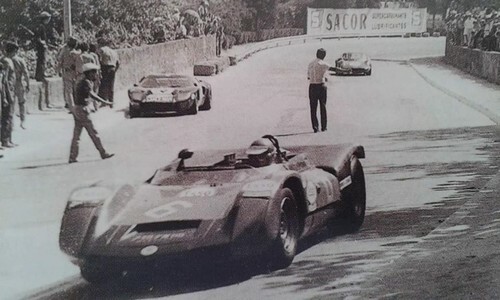 Inicio dos 500Km com o McLaren M8 C de Cris Craft e do Lola T 210, o proprietário dos dois veículos, Alain de Cadenel tendo ao lado os futuros vencedores, o Lola T 70 de Teddy Pilette/ "Taf Gosselin. 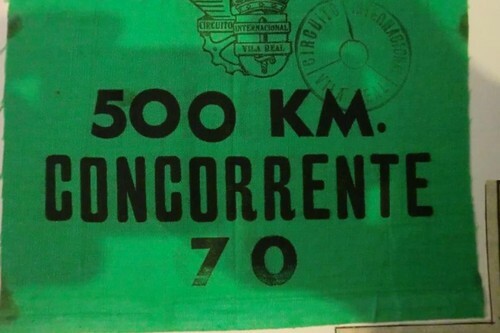 Actualmente, o modelo fabricado pela Trojan, continua nos nossos dias a sua vida desportiva. 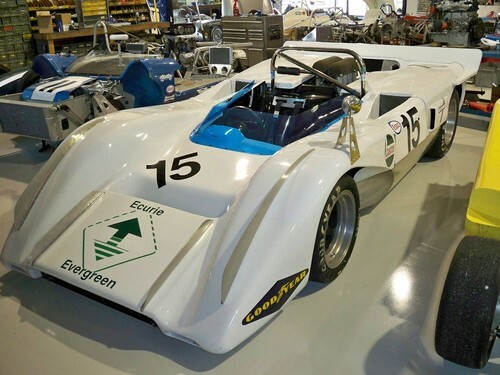 Team Evergreen McLaren M8C. 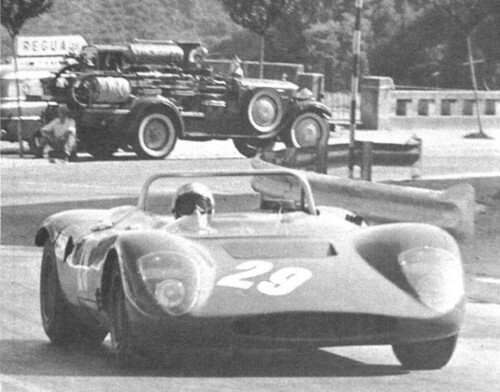 Rebuilt monoque and suspension. 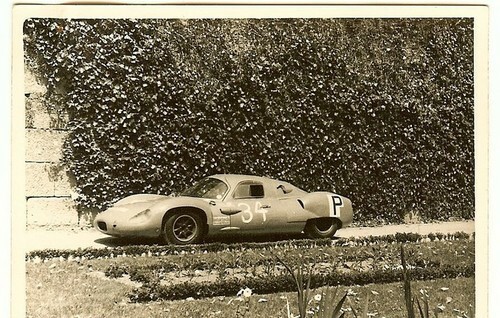 Complete restoration recently completed. 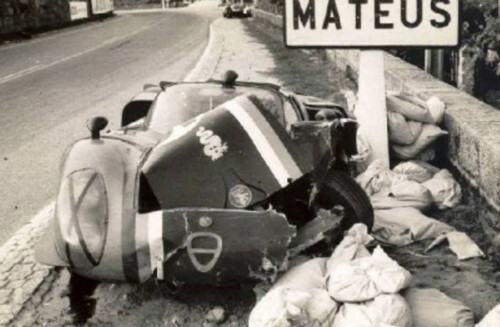 All systems gone through and re-built or freshened. 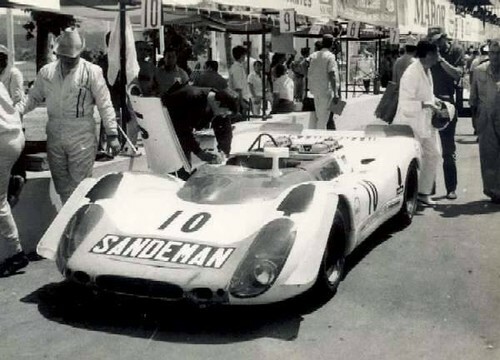 This is a one of a kind McLaren. 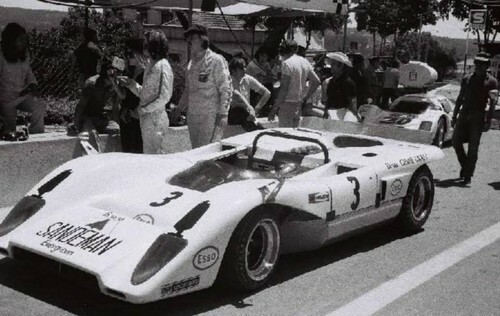 Originally commissioned by Alain deCadenet from Trojan/Mclaren to be fitted with Cosworth DFV to run WSC events in 1970. 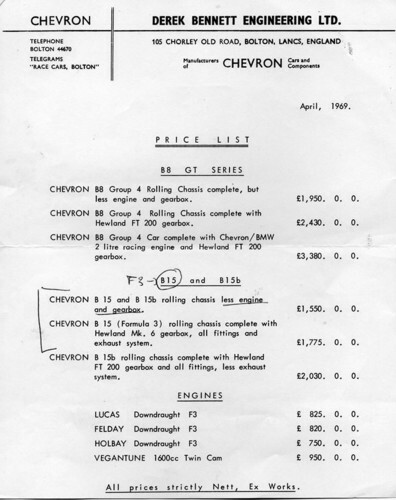 Car is fitted with a modern Cosworth DFY engine now, but comes with very low time original #916 serial numbered engine. 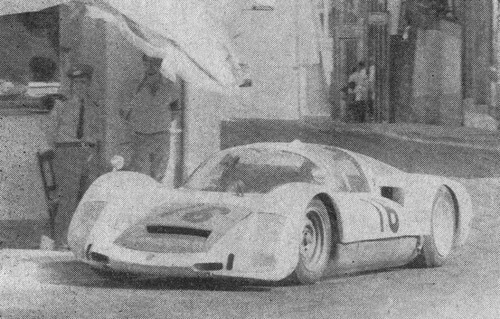 McLaren M8C chassis #70-07 was commissioned, by Alain deCadenet in 1970, from Trojan/McLaren to have 3.0 ltr DFV to run WSC events. 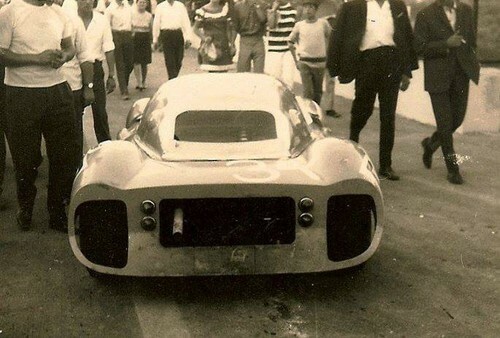 A special tub was built to accommodate the wider Vee of the 90deg Cosworth engine. 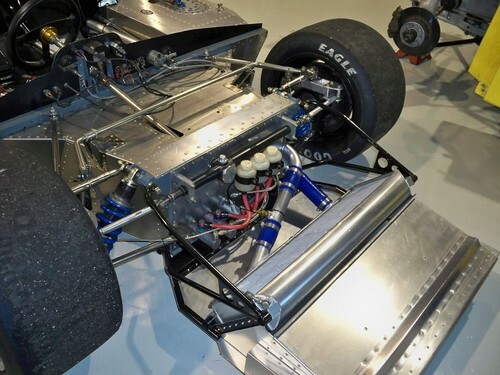 Rear suspension was modified due to lack of suspension attachment points on the Cosworth block along with body modification for easier fueling due to the longer WCS races. 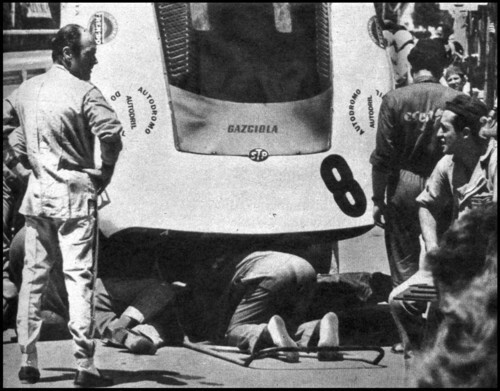 The team also had steel fabricated uprights made to ease repairs in the field. 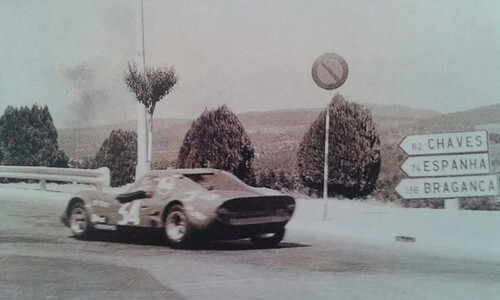 This car was raced by Chris Craft in 1970, at Vila Real ,did not finish, and with Chris winning the Swedish Grand Prix in August of 1970. 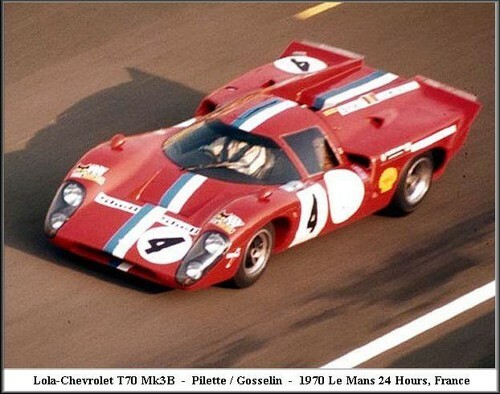 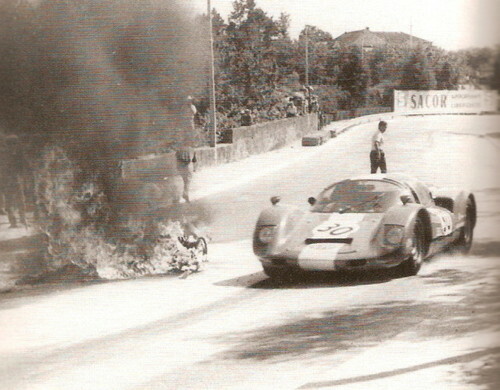 It also ran at LeMans in 1970, but with a DNF. 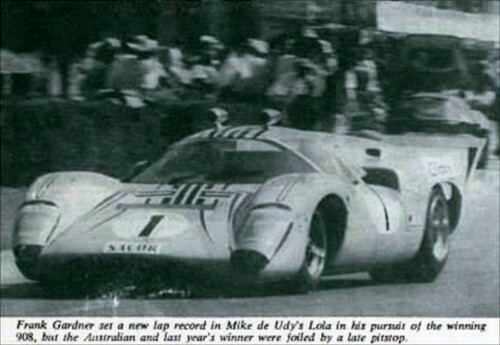 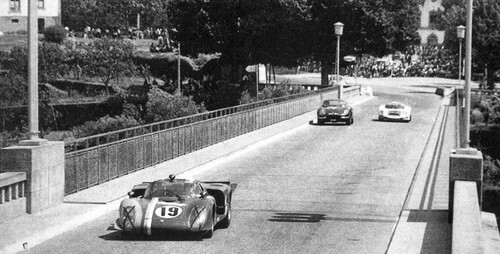 1971 saw Chris Craft and Trevor Taylor finish 9th in the 1000 km of Buenos Aires. 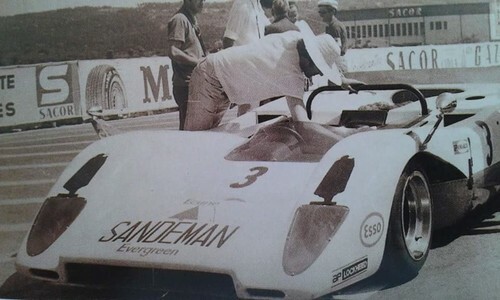 Team Evergreen car then sold to Vincento Formicano of Argentina and raced with local engines in South America in the 70's with Nasif Estafano and Hector Pozveta as drivers. 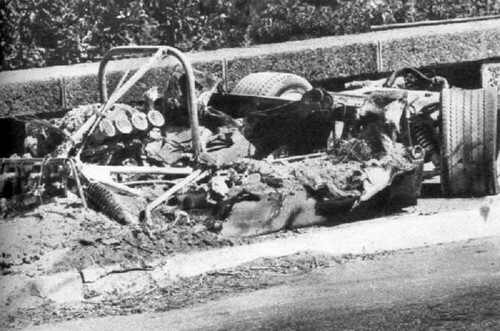 In 1993 the Chassis and the original DFV were discovered in Argentina and brought to the United States and purchased by James Simpson. 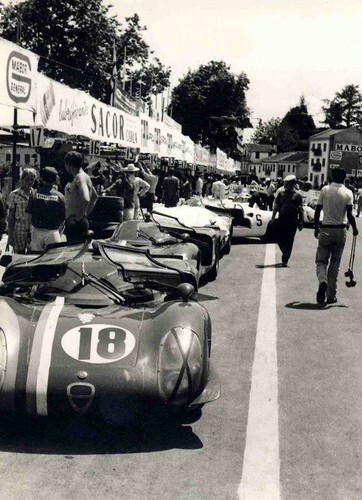 Sasco Sports then did a complete mechanical and cosmetic restoration to the original configuration. 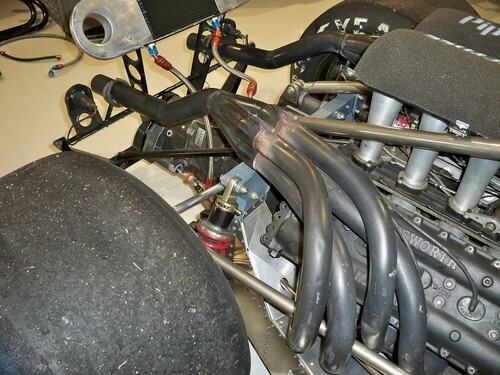 The car is currently fitted with a more modern Cosworth 3 ltr DFY, but was restored and run with the original DFV which has very low hours on it. 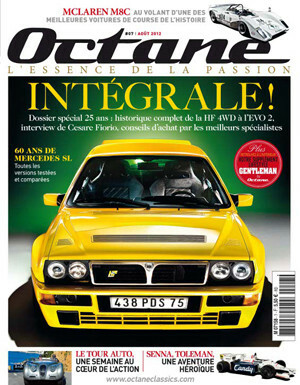 Na Octane nº7 de Julho de 2012 pode ler-se: McLaren M8C ao volante de um dos melhores automóveis de corrida da história.